It's so foggy here ( the only weather i hate) and it tries to spoil my Christmas mood but...noway. I am still making holiday cards with great pleasure! 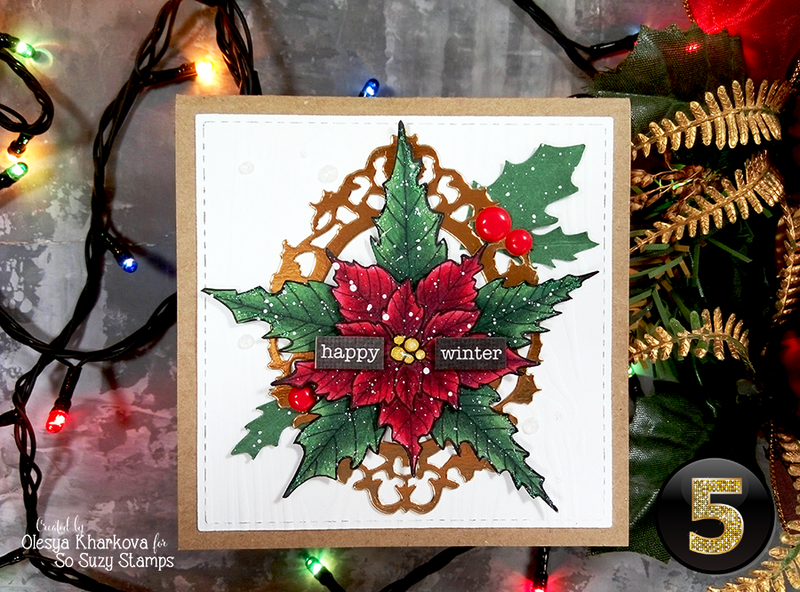 This is day 5 of my Holiday card series featuring So Suzy stamps. I challenged myself to make a card with only one stamp. 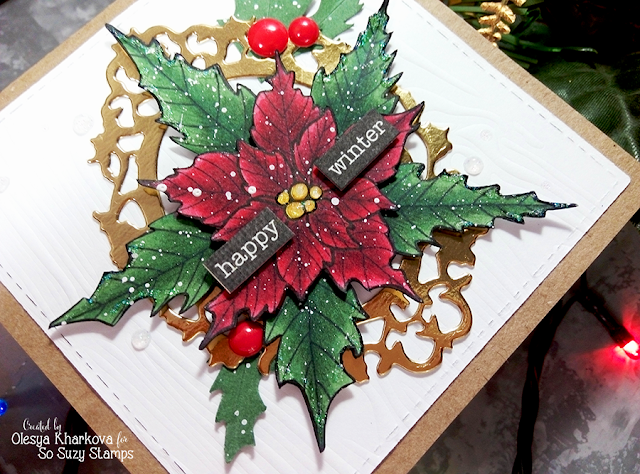 I chose this pretty Poinsettia stamp I designed for So Suzy stamps company. Really really love it! I stamped the Poinsettia twice and colored leaves on one and the actual flower on another piece using alcohol Chameleon pens and pencils. Popped up the flower with a foam square and placed on top of the leaves. Free hand cut out holy leaves and sprinkled all the cut outs with diluted white acrylic paint and a tiny brush. Die cut a frame (Mimicut - Family Portrait) out of gold foiled cardstock. That was a real surprise to me to get dry embossing with a stencil. 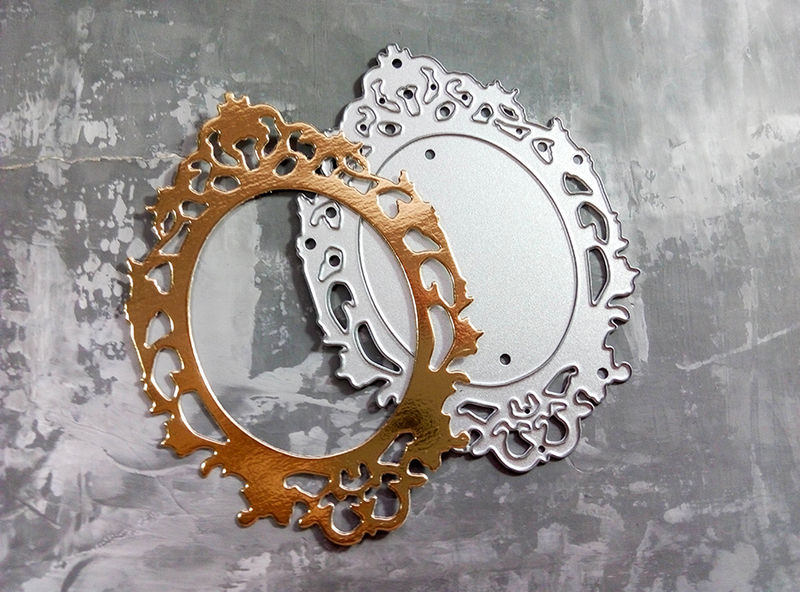 I used my Grand Calibur die cutting machine and sandwitched the plates like that: A plate, embossing mat, paper, stencil and B embossing plate (pink) and here's the result. I'm in love!!! 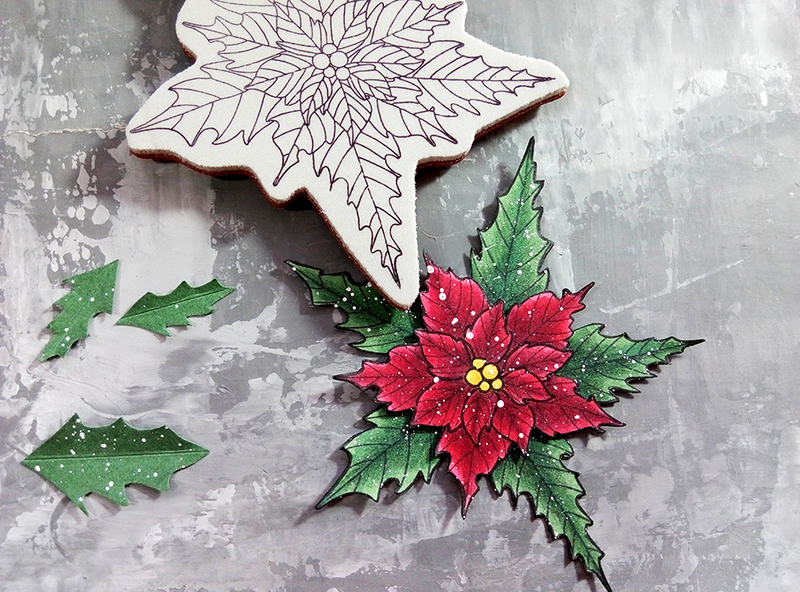 Breath taken away with the richness and depth of colour you've created to showcase your lovely poinsettia! 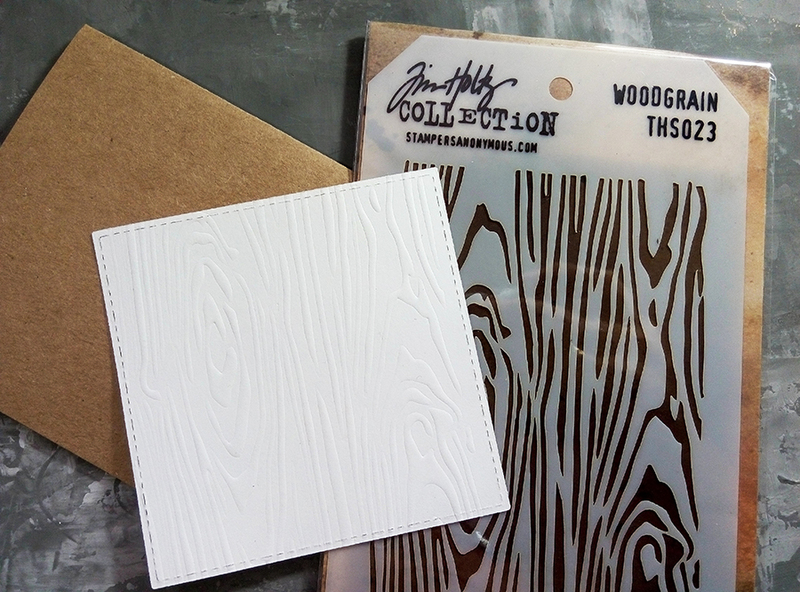 The gold frame and woodgrain background add to the impact! LOVE this! Pretty layering and details! 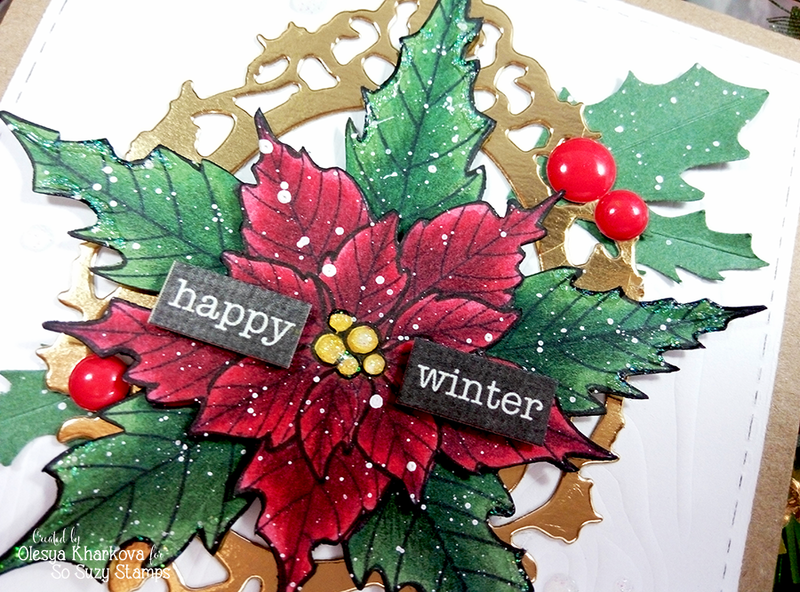 Love the beautiful poinsettia and your coloring!